It starts with seven years of “construction” that includes dredging and covering more than 200 acres of the most contaminated soil at the bottom of the river. Some of the 1.8 million cubic yards of polluted sediment removed from the river would be stored in a confined disposal facility to be built in the river. The plan would also remove soil and cap highly contaminated areas along the banks of the river. Around 1,900 acres of the site with lower contamination levels would be left to recover naturally. In 30 years, the agency says, the entire site will meet the federal clean-up goals. The proposed plan is cheaper than some of the more extensive cleanup options the agency was considering. Those went up to $9 billion in cost and would take up to 62 years to complete. Leaving more acreage to recover naturally and designing an in-water disposal facility are two ways the EPA plan reduces the cost of the cleanup. But Grandinetti said the proposed clean-up will still dramatically reduce the risk to people, fish and wildlife from dozens of pollutants. The dredging, which removes soil from the river bottom, and capping, which covers contamination with clean material, will focus on areas that pose the highest health and ecological risks. Less contaminated areas will be monitored and allowed to recover naturally. At the end of the seven-year construction period, the EPA says the health risks from contamination at the site will be greatly reduced, dropping by as much as 100 times below the current level in many places. 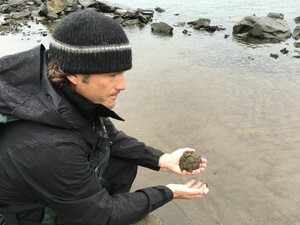 Travis Williams, executive director of Willamette Riverkeeper, holds sand from the banks of the Willamette River in the Portland Harbor. on how much is safe to eat. Because of the health risks from contamination, mothers and children are currently advised to avoid eating resident fish from the Willamette between Sauvie Island and the Fremont Bridge. Grandinetti said the main goal of the cleanup is to reduce contaminants in fish and allow safe human consumption. Under the proposed cleanup plan, the EPA says, fish advisories restricting the amount of fish people can safely eat will be “relaxed” for everyone except women of childbearing age and nursing infants. Travis Williams, director of Willamette Riverkeeper, said he’s disappointed the plan won’t get the river clean enough to lift all fish advisories. The most aggressive clean-up option the EPA was considering would have removed 33 million cubic yards of contaminated soil compared with the proposed 1.8 million. Williams called natural recovery the “do nothing” option. He and others have asked the EPA to give the public more time to comment on the plan, which was 16 years in the making. EPA Northwest Administrator Dennis McLerran said his agency was careful to balance the costs of the cleanup with the health risks of leaving pollution in the river. Removing more contamination through dredging would have added millions of dollars to the cost of the cleanup while also extending the timeline by many years, he said. McLerran said his agency will consider requests to extend the comment period. 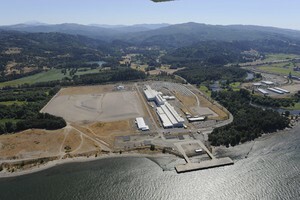 The pollution at Portland Harbor has accumulated from a wide variety of industries, including shipbuilding and ship breaking, wood treatment and lumber milling, storage of bulk fuels and manufactured gas production, chemical manufacturing and storage, municipal sewer overflows and industrial storm water. The EPA has identified more than 150 potentially responsible parties that will be asked to help pay for the clean-up. 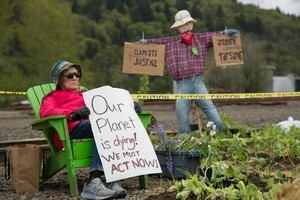 Ten of those parties teamed up to form the Lower Willamette Group, and agreed to help with the cleanup process. 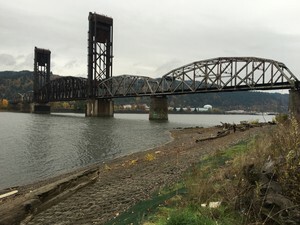 Barbara Smith, a spokeswoman for the Lower Willamette Group, said her group appreciates efforts by the U.S. Environmental Protection Agency to get to a final cleanup plan. June 24, 11:30 a.m.-8 p.m., City of Portland Building, 1120 SW 5th Ave.
June 29, 11:30 a.m.-8 p.m., EXPO Center, 2060 N Marine Dr.
July 11, 11:30 a.m.-8 p.m., University Place Conference Center, 310 SW Lincoln St.
EPA will offer two presentations on the proposed plan during each meeting at noon and 6 p.m. The agency will consider and respond to public comments before releasing its final cleanup plan by the end of the year.